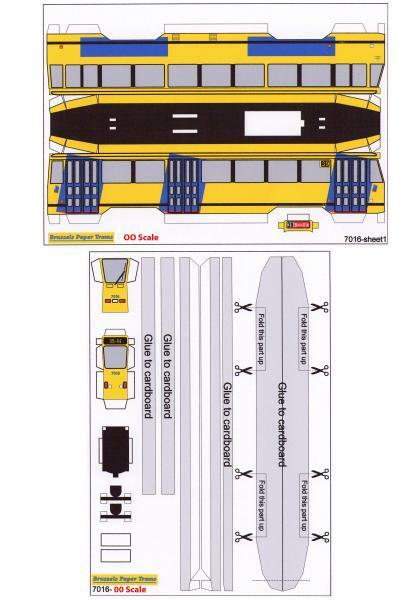 This new thread has been started by Petermac with the agreement of those modelling trams from card. The following posts have been moved here from the "Maxmill Electric Tramway" thread with the agreement of their authors. Gallery photos I too have recently taken to tram modelling. 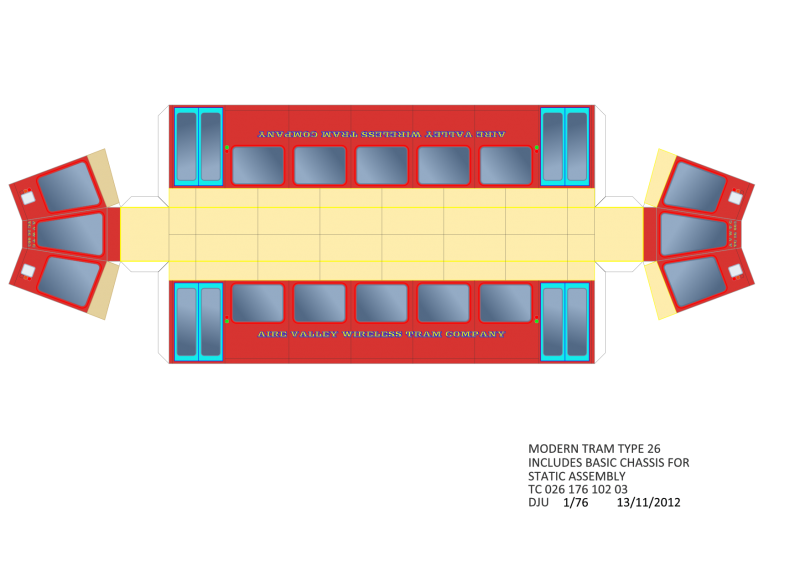 However I have taken an individualistic approach and designed my own trams! This came about through looking at ways to produce DIY tinplate when the penny dropped that it would be a lot easier to print on card. Having acquired a load of Underground Ernie chassis (is there a plural for chassis - with all those ss it might look strange?) I quickly realised that I would have to scratch build bodies and in the interests of speed went down the printed card route. I use DeltaCAD to draw up the body and then transfer to DrawPlus for colouring in. So far I have made a lot of various bodies in various colours. It is also pretty easy to try different scales. Living as I do in a once 4 feet gauce zone I generally stay local, use 1/76 scale for 4 feet. I have tried 1/64 S which means 16.5mm represents 3' 6". I have also made 0, 1 and G gauge bodies. The latter were meant for meccano chassis and as yet has progressed no where. Being more interested in the technology than the trams themselves I discovered the various methods, past and present of wireless electric trams. I quickly realised that this easily represented by 3 rail track. Acquiring some Hornby for trials I became a fan of this really lovely tinplate track. Even making three rail is straight forward thanks to Peco who provide suitable fittings, and also 'studding' for Marklin style stud contact - which is actually more realistic of the prototypes that a continuous third rail - except there is a system in use that while intermittent looks continuous; Ansaldo I think make this. Bombardier make an induction system, same method as electric tooth brushes. Finally there is the ability with some three rail systems to indulge in a basic type of automation really suited to tramways. Unfortunately it does not work with Hornby track but will with Trix Twin, or any system where the running rails are still insulated from each other. Of course it also works with and overhead supply. It was seeing a small figure of 8 layout with three trams running on it that introduced me to the concept. It is all work in progress but soon hope to have a reasonable demonstration layout for my different approach. I'm not too far from you here in Greengates. 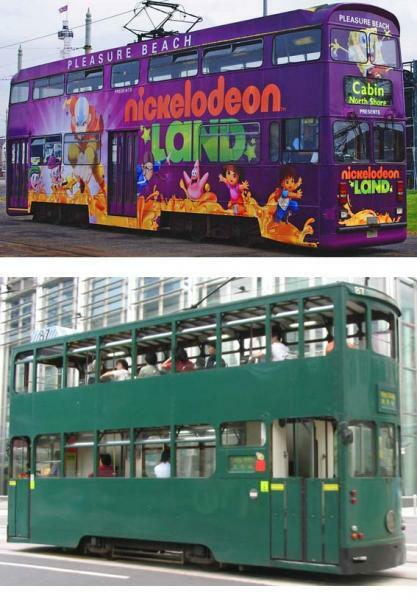 As far as I am aware the trams never quite got to Keighley. They stopped in Crossflats but since I was living in Clydebank when the trams stopped running in Bradford I don't know for certain. I can not afford to use DeltaCAD, I'm stuck with AUTOCad 2012 so I have no templates for this kind of work but at least I can make them. If you are going "freelance" I have a whole set of freebies from here, http://www.brusselspapertrams.be/downloads.html and when I find out how to insert this as a link I will. I also have some other free downloads which might suit you and since they are free to download I can put them on here providing I leave the originators name on the file. The Brussels jobbies include some spiffiy Bombartier style (need to check to see what they are) and some older four wheel stuff. Actually Keighley also had a 4' tramway. It got as far as Riddlesden or thereabouts. It was never connected to Bradford although I suspect the use of 4' gauge meant it was a rounf2it that never happened. DeltaCad by the way is not an expensive CAD package and for the casual hobbyist is far easier to learn than AutoCAD. I am now on version 8 having upgraded since I bought the first version about 12 years ago. When I too had access to AutoCAD I much preferred DeltaCAD. All I do is save the drawing as a .dxf file and DrawPlus from Serif loads it OK. All one has to do is make sure the layers are not merged. Only bit of work before colouring is to put the layers in order. Thanks for the links, I think I have found some before. For the most complex card model try Canon and Yamaha - the latter have card models of motorcycles to download. They are terrifying in there complexity. Up to now it has all been playing around and trying out. I am now getting serious and going to try and produce some real models. Will post my efforts. Not a great distance apart then. Mind you there were many local and municipal lines which ended like that. A word of caution regards the Brussels paper trams. They are fine but not to scale. I simply resized the entire page in Photoshop since I had the wheelbase to work from. There isn't much in it but it is noticeable. If you want current Brittish trams Nottingham have a freebie but it is nearer N gauge. Got interupted by a culinary emergency so I’ve had to come back and do this. 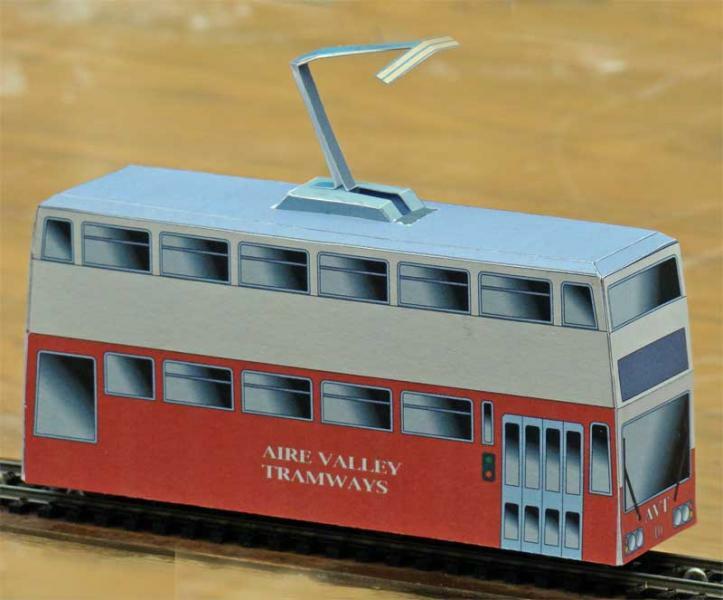 Possibly the best card tram kits are from Elena & Robert Hardy at elrokits@btinternet.com and they are certainly a quick education in what to aim for in a card kit. So far I have got as far as the pics below with the developement of my Glasgow stuff and when I have got it to a sensible kit I will go with a Bradford standard. If you have any plans or pics of the Keighley stuff I would like to have a look at them. You are in a different league to me. I have tended towards quantity over detail: technical note - I have not used the term quality as I recognise quality as meaning fit for purpose; mine might look rough, be short of detail and freelance. However they are fit for the purpose. 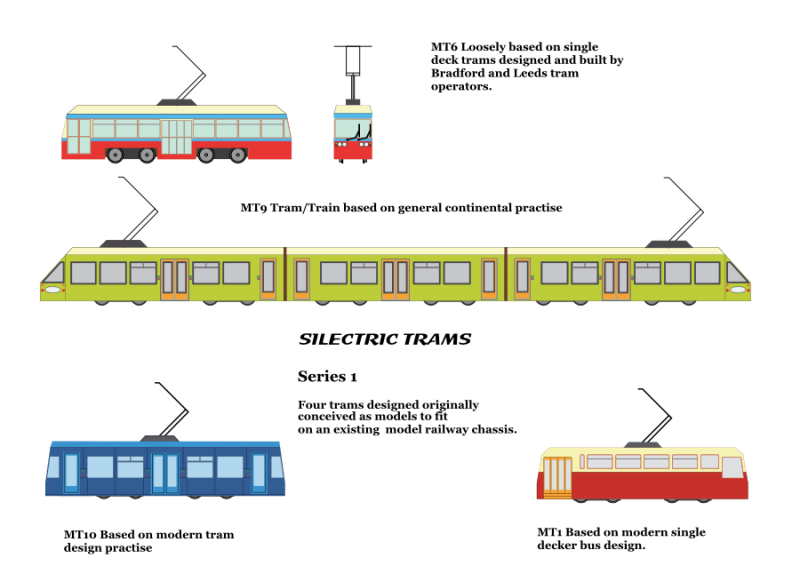 These are grafic pictures of some of my tram designs. These were all created to fit on old Underground Ernie Chassis. This is one of my models for cutting out. A double decker I tried out. Can't see anything wrong there. They are up and running and I'm still developing and hunting for a way of getting bogies or a truck under mine. Where are you thinking of running the Aire Valley Tramway from and to? Keighley to Howarth would be good and you could do a "toastrack" for summer visitors to Bronte country (assuming we ever get a summer) and Skipton castle would be a good northern end. Gallery photos Those card models are very well made bankie and wahiba, have you ever thought of printing out your designs on a 3D printer or laser cutter, I know bankie's designs are made in auto-cad it should be compatible. Gallery photos Good idea. You think you are alone in following an obscure modelling route and then find you are not. On the topic of CADCAM and 3D printing. Still saving for a 2D CNC card cutter - there is one! Yes there are places who deal commercially with 3d printing and I even know a guy in Bradford who could do laser cutting, BUT, we come back to price and for small runs you need to pay for everything including the developement and postage. Cheapest 3d printer I have found is A$650 and you need to build it when it arrives from Oz. Don't bother looking up lazer cutters as they tend to be heavy duty commercial card or fabric cutters and WAAAAAY overpowered for small scale card cutting.. The "Craft Robo" cutters are good for plain card designs but have difficulty with coloured designs due to possible registration errors. I used one and could not get it to be accurate enough to avoid either white bits or cutting into the coloured portions of the job. You need a plain black/white template and then have to use that to cut a coloured print out. I think I'll have another look at "Craft Robo" since it was about 3 years ago I tried one. May be some upgrades. 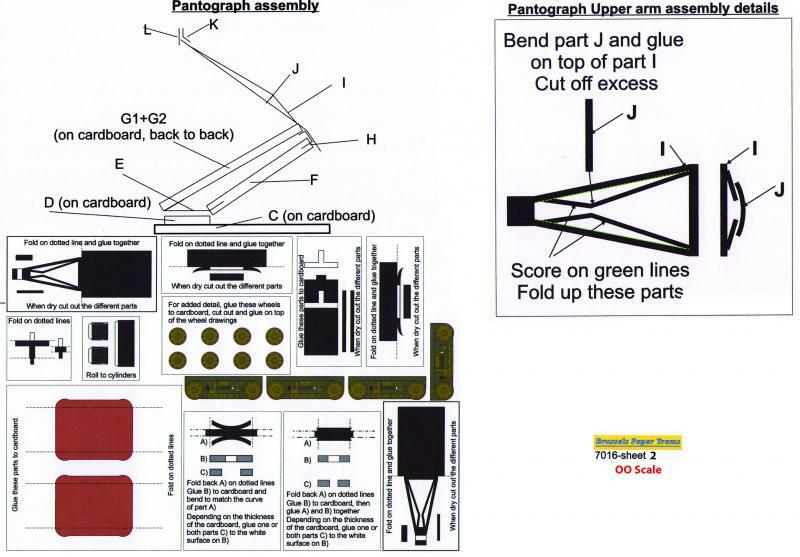 In contact with Jeff at Creative Printers cplsales@print1.co.uk regards cutter but you need to use a template or you confuse the machine and it cuts EVERY line. So you need to use the template and register the two together. The current result is that CPL say they have a machine capable of cutting the card but have no idea if it will cut the acetate needed for glazing. I could just bout live with that but I feel that if I wait a bit 3D printers might come down in price enough to let me afford one. I have asked for a quote from a lazer company so will give us all a good laugh later when I get it. I like the new position for the avatar. I reckon 3D printers will catch on pretty quickly. There is a "3D pen" about to hit the market, basically a device that extrudes a plastics that hardens just after the nozzle (much the same way sealant out of a tube does for me!!). 3D that printers that use a similar principle will probably hit the market first. There are other 3D printing techniques but I suspect they are still too complex for the home market. One use of 3D printers is for them to print the model in wax. This can then be used to form a complex lost wax mould. Usually referred to as one of the oldest casting techniques. A film on TV about Rolls Royce showed them using the technique making jet engine components. As a one time production engineer I am following this technology with some interest. I hope the model industry is too. Airfix could become an information company from who one downloads the model kit data for ones home 3D printer. I wonder? Now back to my card trams. 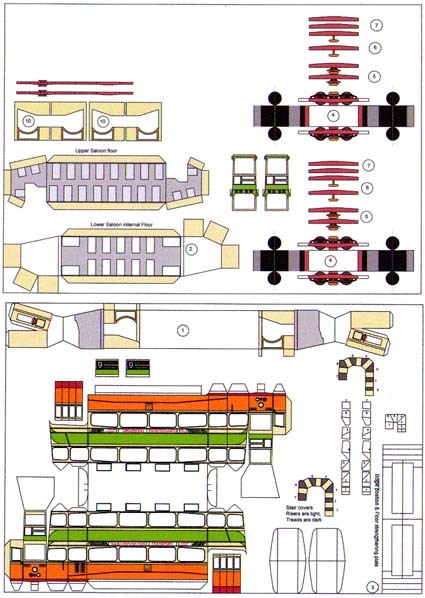 Plan of Tram from CAD. Not sure why it has reversed. I think 3D printing "at home" is still a long way off David - if only because of the costs involved. If you Google "Grime Street", there's a guy who is marketing some 3D printed Leeds trams for, I think, around the £40-ish mark. They are wonderful scale models with all details included. You do of course, still have to add the motor and other "electrical" bits. 3D Printing at home: Five years - and I think I might be being a bit pessimistic. This requires a non modelling use as well for the mass market but I think it will happen. I do not usually go in for such precise predictions so I might be way out, but with fast changing technologies it is hard to tell. This is after a line model from CAD has been processed by the drawing package. Again .gif hence the black background. Another tram in .png which looks OK.
At the moment my university (UWE) are having a pilot scheme with a 3d printer in the library, very tempted to have a go with it as its free to use at the moment, just gotta wait for it to be free and might have a crack at it, might print out some people or bicycles. Give it a go Aaron - but don't forget to document it all on here , with photographs if possible. As you can see it's a Brussels tram and is a free download from the "Brussels Paper Trams website. I have rescaled it for 00. Peter this is a free download with permission to copy so there is no copyright infringement providing the source is acknowledged and no charge is made. 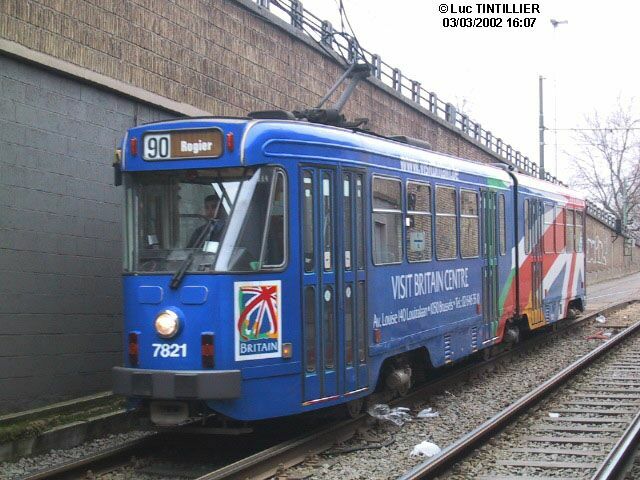 The .PDF at http://www.brusselspapertrams.be/7821.html downloads The tram below BUT be warned it is NOT 00 gauge. 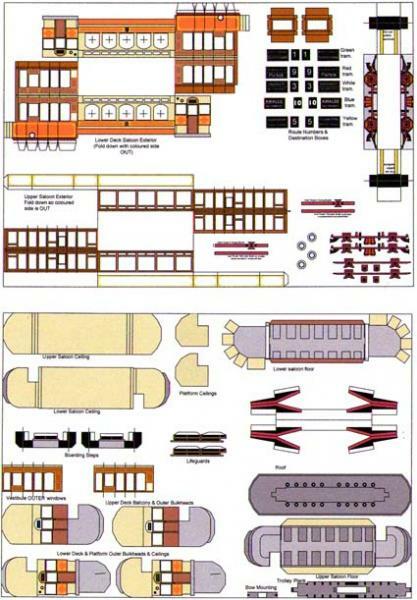 Print 7016 out at 1:1 and you will have a 00 gauge tram.